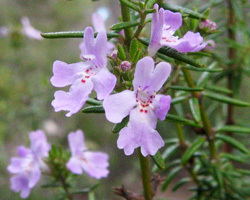 Comprehensive knowledge of the flora of south-east Australia. 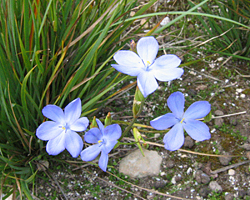 Extensive experience with the identification and management of the indigenous flora of the Geelong Region and central Victoria. Experience and DSE qualification in 'Net Gain' assessments (HH120). Experience in fauna habitat assessment. Extensive experience working with landholders, community groups and government. Experience in environmental education, communication and public speaking. Photographic experience and comprehensive slide library. Experience with GPS and GIS data collection and mapping. Proprietor of the Geelong Indigenous Nursery since 1987. Advanced Certificate in Resource Management. Board Member Corangamite Catchment Management Authority 2000-2006. Surfcoast Walk Net Gain Assessment - Great Ocean Road Coast Committee (2009). South-west Country Towns Sewerage Schemes Net Gain Assessments – Water Infrastructure Group 2010/2011. Barwon Heads Golf Course Net Gain Assessment 2011. Carrs Rd Geelong Net Gain Assessment – City of Greater Geelong 2011. Geelong Bacchus Marsh Rd Geelong Net Gain Assessment – City of Greater Geelong 2010. Sandy Creek Rd Geelong Net Gain Assessment – City of Greater Geelong 2011. Toolern Vale Biodiversity Action Plan - DSE, 2006. Shell Geelong Refinery Sustainable Land Management Plan, 2006. Barwon Heads Bluff Management Plan Review - Barwon Coast CoM, 2006. 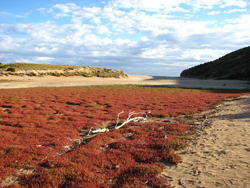 Anglesea Vegetation Study-Surfcoast Shire, 2003. Torquay-Jan Juc Vegetation Study - SCS, 2003. 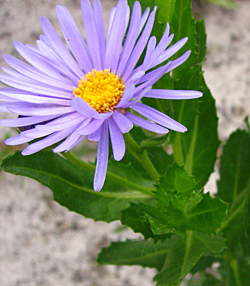 Aireys Inlet Vegetation Study - SCS, 2004. Deans Marsh-Pennyroyal Valley Vegetation Study, SCS, 2005. Winchelsea Vegetation Study - SCS, 2006. Skenes Creek to Apollo Bay Sewer Scheme Vegetation and Habitat Report, Maunsell P/L for Barwon Water, 2003. Otway Gas Project Vegetation Assessment (Port Campbell), Maunsell P/L for Woodside Energy Ltd, 2003. Bendigo East Structure Plan Environment Assessment, Maunsell P/L for City of Greater Bendigo,2005. Grassy Ecosystem Mapping Project-Shire of Melton, 2002. Grassy Ecosystem Mapping Project-Shire of Moorabool, 2002. Heathdale Glenorden Wetland Vegetation Assessment, City of Wyndham, 2003. Ford You Yangs Proving Ground Vegetation Survey, Ford Australia P/L, 2004. Queenscliff Narrows Vegetation Management Plan- DNRE, Queenscliff Community Association, 2001. Blue Waters Lake, Ocean Grove Vegetation Management Plan - CoGG, 2000. Ocean Grove (Ingamells) Park Vegetation Management Plan, 1998. The Management of the Coastal Remnants of the Borough of Queenscliffe, 1992. Remnant Roadside Vegetation of the Surfcoast Shire (with Peter Moulton), 1997. Remnant Roadside Vegetation of the Golden Plains Shire (with Tim Barlow), 1995. The Vegetation of "Ballara", Point Lonsdale- Trust for Nature, 1992. The Vegetation of the Bannockburn Recreation Reserve -Friends of Bannockburn Bush, 1996. Vegetation Management Guidelines for Pt Edwards Flora and Fauna Reserve - Friends of Pt Edwards, 1999. Management Guidelines for the Remnant Vegetation of Seaview Park (Belmont Escarpment) Geelong-City of Greater Geelong, 1998. Vegetation of the Shell Geelong Refinery- Shell Australia, 1998. Vegetation Management Guidelines for Citizens Park, Queenscliff - Borough of Queenscliffe, 1998. Vegetation of South West Natural Gas Pipeline- Gas Transmission Corporation, 1998. Vegetation of Golden Woods Development Site, Pt Impossible- Golden Wood Pty Ltd, 1998. Vegetation Assessment - Live Bomb Range Reserve, City of Wyndham, 1999. Melbourne - Geelong Water Interconnector Net Gain Assessment (for KBR Consulting (2008). Pt Nepean Ecological Assessment (PPK Consulting) - Department of Defence, 2003. Tullamarine Airport Vegetation Assessment (Phillips Agribusiness), 2005 / 2006 / 2007. Pt Richards Fauna Reserve Management Plan (Thompson Berrill Landscape Design) - GoGG, 2005. Geelong Ring Road Stage 1 Biodiversity Assessment (PPK P/L), 2005. City of Greater Geelong Biodiversity Management Plan (Ecology Australia)- CoGG, 2002. Environment Management Systems, Biodiversity in Agriculture (Western Ecological Services)- DNRE, 2002. Ford Lara Proving Ground Biodiversity Management Plan (Earth Tech P/L)- Ford Australia, 2002. Geelong Ring Road Strategic Study (Greening Australia Victoria) - Vicroads, 2002. Magyar Barracks Vegetation Assessment (Brett Lane & Associates) - DoD 2001. Somerton RAN Barracks Vegetation Assessment (Brett Lane & Associates)- Do D, 2001. Pt Lonsdale Lighthouse Coastal Plan (DNRE), 2000. Limeburners Bay Management Strategy (TBLD) - CoGG, 1999. Swan Island Weed Management Strategy (Egis Consulting) - DoD, 1999. Torquay Foreshore Management Plan (TBLD) - Torquay Public Reserves Committee, 1999. Breamlea Foreshore Management Plan (TBLD) - CoGG, 1999. Carrum Lowlands Water Activity Plan (TBLD) - Parks Victoria, 1998. Corio Bay Foreshore Management Plan (Egis Consulting) - CoGG, 1994. Pt Lillias Hazardous Chemicals Storage Complex - Independent Panel Hearing, Geelong, 1995. Ocean Grove Park (Ingamells) - Independent Panel Hearing, Ocean Grove, 1996. Barwon Sewer Aqueduct- Independent Panel Hearing, Geelong, 1996. Corio Landfill Amendment RL 184 - Independent Panel Hearing, Geelong, July 1997. Reilly's Woodland Ocean Grove - Independent Panel Hearing, Geelong, February 2000. Ord St Saint Leonards - Independent Panel Hearing, Geelong, March 2003. Bendigo East Structure Plan - Independent Panel Hearing, Bendigo, 2006. Parliamentary Inquiry into Ecologically Sustainable Land Management, 1996. Environment and Natural Resources Committee Inquiry into Pest Plants in Victoria, 1996. Senate Inquiry into Commonwealth Environment Powers, 1997. Coast Tussock Grass Grasslands, 1995. 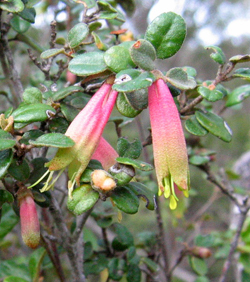 Indigenous Plants of the Geelong Region (CoGG), 1999. 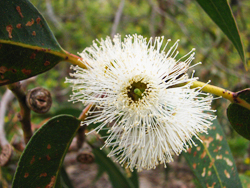 Indigenous Trees and Shrubs of the West Port Phillip Region	(DNRE), 2000.